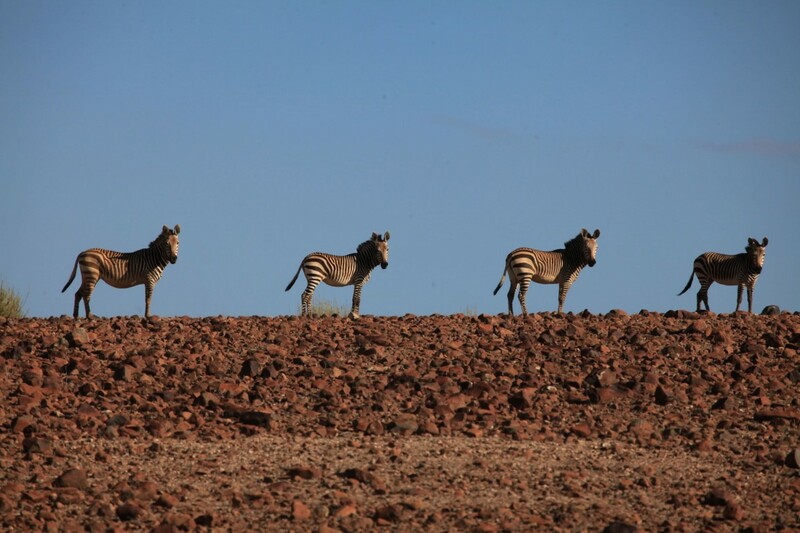 One of our top Namibia favourites, Desert Rhino Camp is a wonderfully remote camp committed to conserving highly endangered, desert adapted black rhinos. 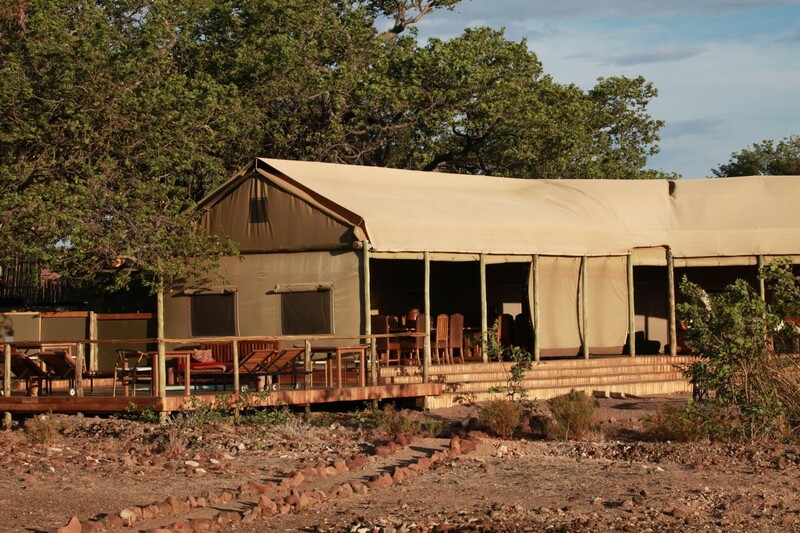 The camp is remotely located in the private, 450,000-hectare, arid and rocky Palmwag Concession. There are eight raised Meru-style canvas tents with private verandahs looking across the valley to the Etendeka Mountains. 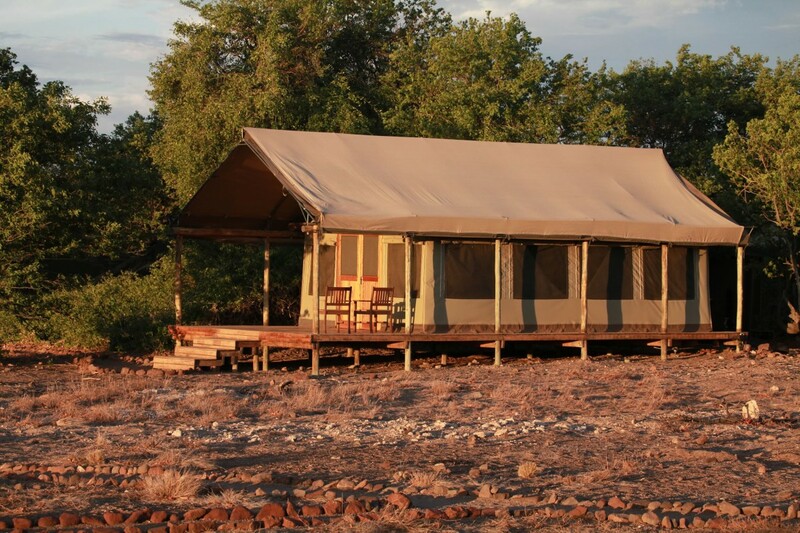 Each walk-in tent has a private bathroom, comfortable bed with mosquito net and simple furnishings. The main tented dining and lounge area is elevated with visibility at the sides providing panoramic views. There is a small swimming pool, outside sun deck and fire pit where evening meals are taken. 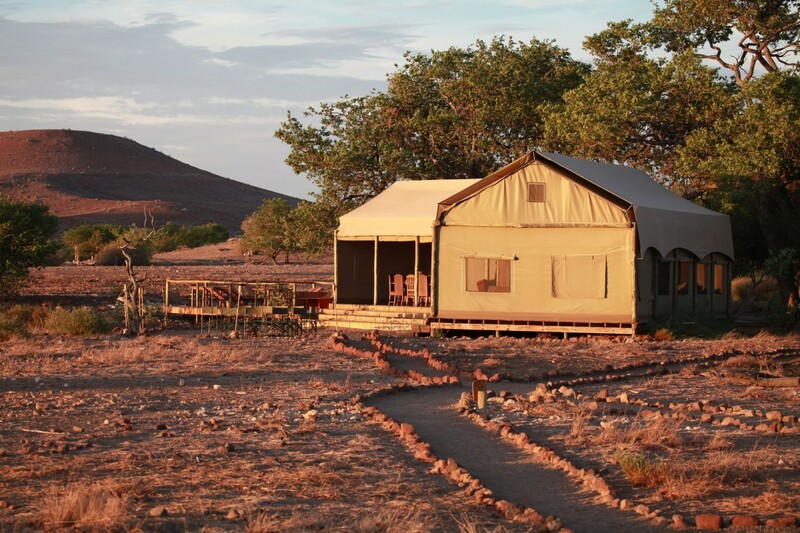 Set in a remote part of Damaraland, the camp is ideally situated for exploration on game drives and nature walks, with the tracking of desert adapted black rhino on foot the highlight of any stay. 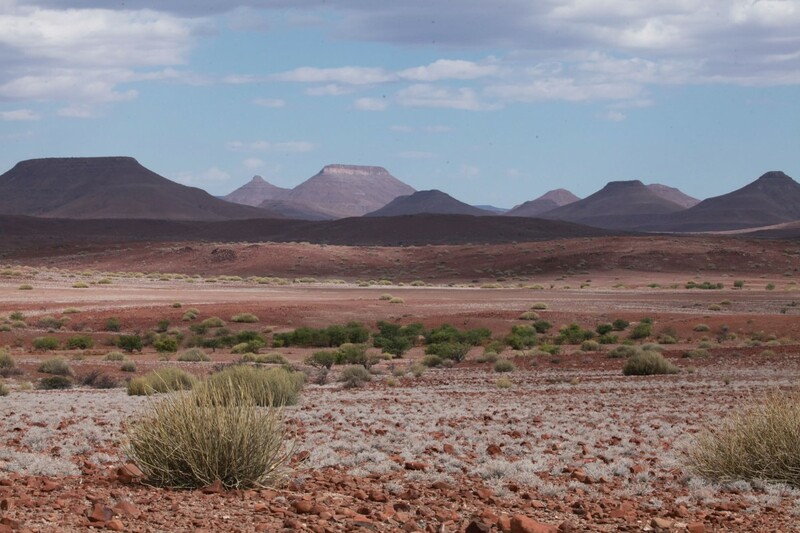 The flora is also of interest, especially the abundance of welwitschia mirabilis, officially a tree but having no trunk, which grows directly out of the ground and is the national plant of Namibia. 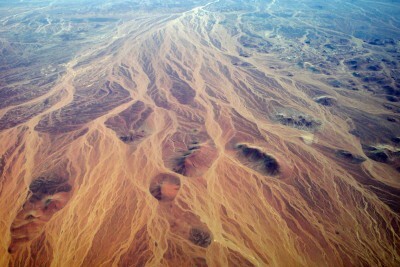 Desert adapted black rhino tracking is the most exciting wildlife activity. 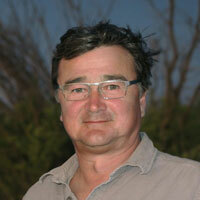 The rhino can be reliably tracked due to the knowledge of the local guides. 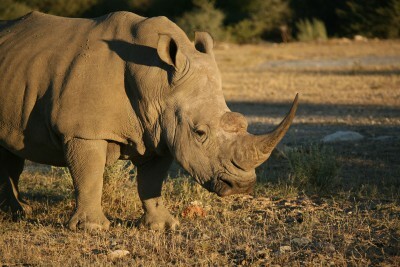 Guests usually walk from the vehicle and watch the rhino on foot, adding extra frisson to the occasion. Other wildlife in the area includes giraffe, gemsbok, Hartmann’s mountain zebra, steenbok, elephant, lion, cheetah and bat-eared fox. The bird life is surprisingly good with Ruppell’s bustard, ostrich and various birds of prey being common sightings. 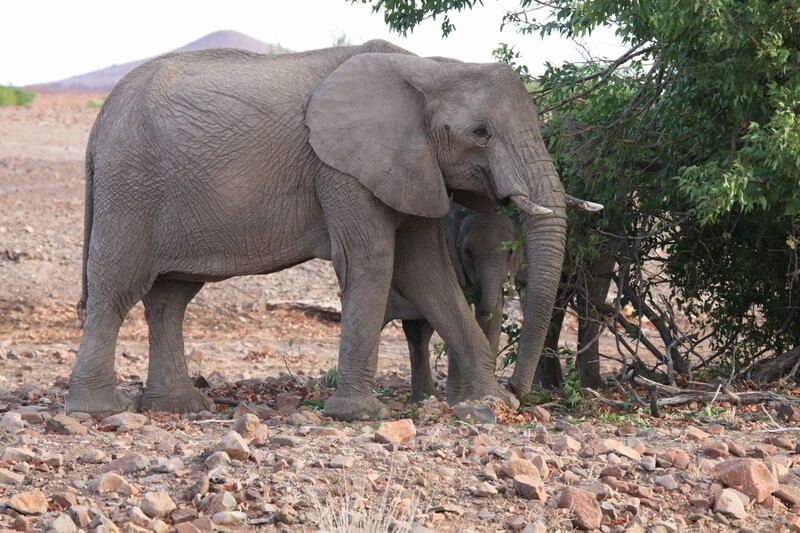 Game drives, walks and rhino tracking. Make sure you take a torch, as the walk back to your tent is in the dark. Desert Rhino Camp was our favourite! The amazing staff create a lovely environment, and we loved all the singing. Tents were great, all clean and offering a real 'safari' feel. Food also good and well organised,.